Whether you are an individual or business looking to work with a registered dietitian, I’ve got you covered! Use the contact form below if you have any questions about my services and/or are ready to get started. I’m looking forward to working with you! We will discuss all that impacts your eating — from your history with food to health issues to your environment — and work together to come up with a personalized nutrition plan that meets your specific needs. Initial appointments are generally 60 minutes and follow-ups are from 30 to 45 minutes. I also have several package options (e.g. an initial and 3 follow-ups) that are more cost-efficient. Consultations can be done over the phone or via Skype or Google Hangout. If you really want to meet in person, I’d be happy to meet with you in the Chicagoland area. Grocery stores carry an average of more than 40,000 different products! Yikes! Let me help you navigate the aisles to learn what foods will help you meet your nutrition and health goals, and why. Throughout the tour, we will discus quick and easy ways to prepare these foods. My goal is get you excited about cooking and healthy eating — whatever your level of cooking “know-how.” After the tour, you will receive a summary of the points discussed as well as a one-week sample meal plan to help get you started. While ultimately I want you to become self-sufficient with meal planning, sometimes it helps to have a general guide. Let me create a personalized two-week meal plan for you based on your calorie and dietary needs as well as food preferences. Meal plans include all meals and snacks. Want to learn how much protein is in that paella or how many calories are in your homemade chili? I offer a complete nutrition analysis of your favorite recipe (calorie, fat, protein, carbohydrates, vitamins/minerals, etc. ), along with suggestions for improving the healthfulness of the recipe through smart substitutions and additions. Bring down health insurance costs and number of sick days, and more importantly, help your employees and co-workers achieve a healthier [and happier] life. I offer a variety of worksite wellness services such as “lunch and learn” presentations, cooking demonstrations and restaurant excursions to teach dining out the healthful way. Whatever your needs, I am happy to create a tailored program for your office. Dietitians are the most credible source for nutrition information. Let me help your company develop nutrition-minded content for online and print channels, including website, blog and social media posts as well printed brochures, educational handouts and articles. Is your restaurant or food business looking for healthful, delicious recipes that appeal to current food trends? 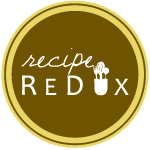 Allow me to create new recipes or revamp current recipes to make them more nutrition-minded and/or appeal to various dietary restrictions (e.g. allergen-friendly, low-carbohydrate, lower-calorie). Consumers want nutrition information at their fingertips. I will provide complete nutritional analysis of your recipes, including an easy-to-read nutrition label for use on packaging. I am also available to conduct “allergen audits” of your menu or products and provide guidance for removal of a given allergen. Interested in working with me? Email me at dana.artinyan.rd@gmail.com or fill out the form below.